Grill Night; NY Strip with Too Tasty Beef, Yukons n Broccoli all smothered in Herbed Gorgonzola Cream Sauce. 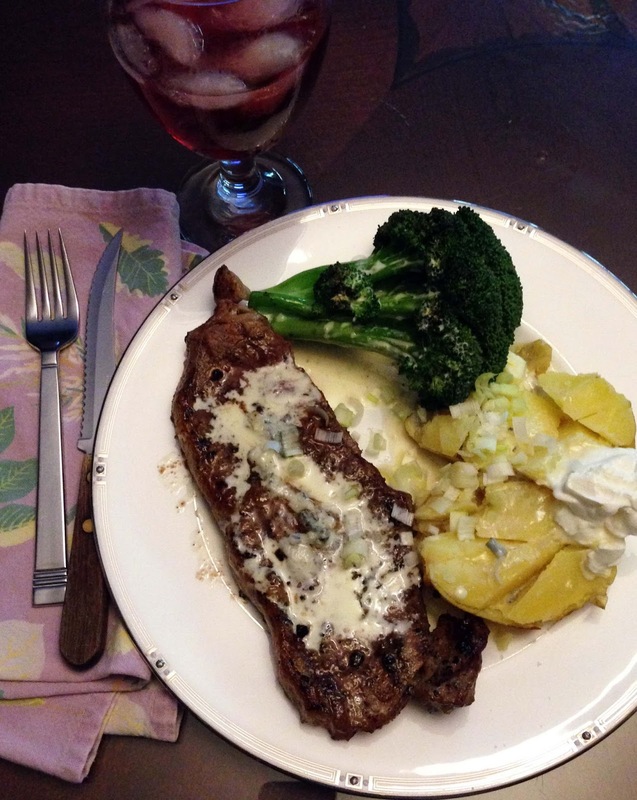 Visit http://noordinarychick.com and use coupon code TooTastyBeef to get 10% off till August 31st! and we never leave out our favorites the Brandywines! Every growing season is different so you never know what you’ll end up with; but for us garden lovers there is nothing better than a sun sweet tomato ripe from the vine. When our bounty gets too big; here’s what we like to do so we can enjoy them some cold winter’s day too. We mix our tomatoes to roast but the bigger brandywines and zebras can have their skins n seeds cleaned up first. When sliced the peels usually pull right off, and if not the skins can easily be removed after roasting. Rough chop tomatoes that have been cleaned and place in a roasting pan. *We line our roasting pan with a double parchment for easy removal. Clean n slice a few cloves of garlic over top; add your choice of fresh basil, marjoram, oregano, and flat parsley. Sprinkle with sea salt and black pepper, and drizzle with olive oil. 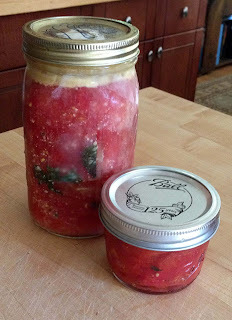 Place in a preheated 400 degree oven for 10-20 minutes depending on the tomato volume. The tomato mixture should be browned in spots and bubbling. When they come out of the oven you can remove any unwanted skins before jarring for storage. Pour into mason jars and refrigerate up to 10 days, or freeze for 6 months. Now you can enjoy your summer bounty in your most cherishes meals all year long. I had a special garden visitor, only the size of my thumb nail... A symbol of transition and transformation, the frog spirit supports us in times of change. Strongly associated with the water element, it connects us with our emotions and feminine energy, as well as the process of cleansing whether it’s physical, emotional, or spiritual. 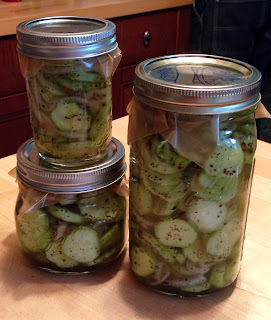 These pickles are a must with burgers and bratwurst for your summer barbeque or anytime! *optional 1 red, yellow, or jalapeno pepper for spice. Cut peeled or unpeeled cucumbers into 1/16 to 1/8 inch slices and layer in bowl. Clean onions and slice thinly on top of the cucumbers. *Remove stems and seeds from the pepper, and slice thinly on top if using. Sprinkle seasonings (as listed) over the ingredients in your bowl and toss gently to blend, laying the bay leaf on top. Cover with plastic wrap and set to the side for 1 hour. While you are waiting mix together the sugar and vinegars; stir for a few minutes to dissolve sugar. Cover and rest until cucumber mix is ready. After an hour stir the vinegar & sugar mix and pour over the cucumber mixture, gently tossing to blend well. Pickles are ready in in about 10 minutes; but old-time recipes suggest storing the pickles in the refrigerator for a day before eating, and waiting a few days for proper pickling. Echinacea is easy to grow from seed; pick a moist, sunny spot with room to spread. The plant takes two years to flower (and become large and potent enough for harvest) when grown from seed, but can flower the first year if you have a longer growing season or plant early indoors. Echinacea is a pretty common garden flower; it self-seeds and will spread where you let it. 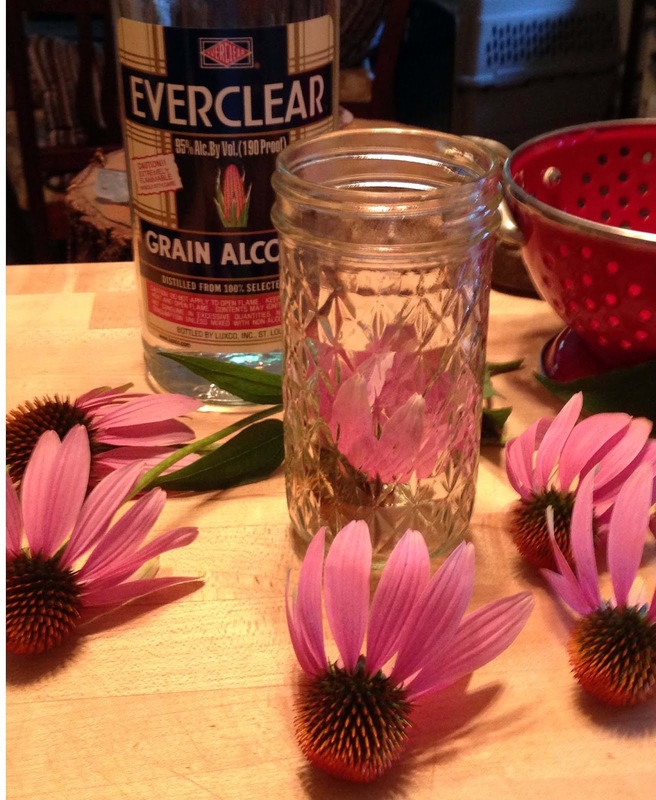 Once your Echinacea is ready for harvest, you have options for extracting the medicinal properties of the plant. Tincturing the fresh plant is highly recommended for getting the most out of the herb. 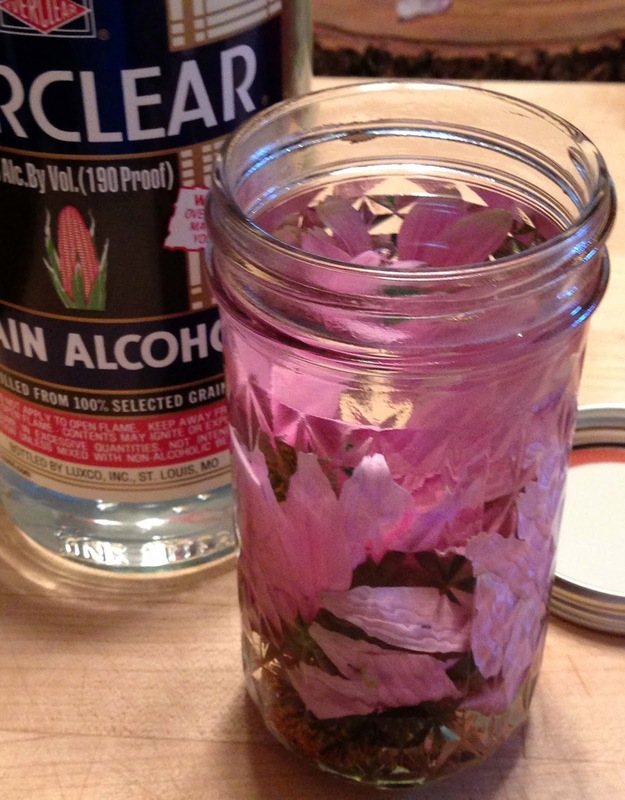 A honey or glycerin extract would be a good choice for kids, but a strong alcohol tincture will be more versatile. The root is the most concentrated medicinally, but harvesting this kills the plant. This is only recommended if you have a sizable stand of Echinacea and can leave enough to continue growing. The flower and leaf can be harvested without affecting growth, especially if you just use the flower petals and allow it to go to seed. 10 oz strong grain alcohol or vodka. Everclear 190 or 151 proof will make a stronger tincture that you can dilute if desired. Dosage will depend on the strength of your tincture, which can only be determined by use. Most commercial tinctures recommend a dosage of 15-30 drops up to four times a day. Start at the lower end and increase the dose as needed. Echinacea works best if taken when you are first exposed to a sickness or immediately when symptoms appear.